There are times when a disorderly conduct charge may be warranted. This may be true if someone engages in threatening behavior, unreasonable noise, or abusive or obscene language. However, in other cases, police will make disorderly conduct arrests merely because a person exercised his or her rights as a citizen or challenged the conduct of a police officer. At the Midtown Manhattan criminal defense law firm of Goldberg & Allen, LLP, we have seen countless individuals wrongfully arrested for disorderly conduct. Police officers might use this type of charge as an excuse to put their hands on you or as a catch-all charge if they want you off the street, but you haven’t actually broken any laws. Our violent crimes lawyers can help you fight an unfair disorderly conduct arrest. We have significant experience handling disorderly conduct allegations and routinely are able to get the charges dismissed. Both Jay K. Goldberg and Gerald Allen are former prosecutors who reached high levels in the Brooklyn District Attorney’s Office and use their experience to strategically defend against New York criminal charges. 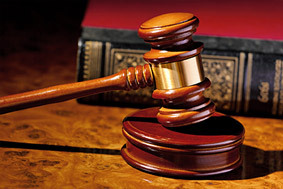 Contact our firm to speak with knowledgeable New York City disorderly conduct defense lawyers. We represent clients in the five boroughs and beyond. A disorderly conduct conviction carries serious potential penalties. After you are charged, you must appear in criminal court, and you face a 15-day jail sentence. At Goldberg & Allen, we fight to get disorderly conduct charges dismissed. In our many years of experience, we have helped victims of police brutality fight disorderly conduct accusations. Police officers throughout the five boroughs have been known to rely on charges like disorderly conduct or resisting arrest to excuse or explain the use of excessive force. Using our extensive knowledge of current police protocol, we can quickly identify illegal actions taken by the police. Even if no physical police brutality occurred, we often discover evidence of false arrest or other constitutional violations after we investigate the circumstances surrounding disorderly conduct arrests. If you are a victim of unlawful police action, such as excessive police force or other actions of police brutality or misconduct, you can fight the conduct with a civil lawsuit. However, a disorderly conduct conviction may hurt your ability to recover money damages from the police department. That’s why it is especially important to rely on the knowledge and experience of a criminal defense attorney to fight your disorderly conduct charge and protect your long-term interests. When you hire the criminal defense lawyers at Goldberg & Allen, you will have a tough criminal defense attorney on your side with substantial success negotiating dismissals of disorderly conduct charges. Every disorderly conduct case is fact specific, and an attorney who knows how to use the facts to your advantage is invaluable. A disorderly conduct charge is not something to fight without the guidance of a seasoned and strategic defense attorney. Whether you think you were falsely arrested or were charged with disorderly conduct after excessive police force was used, or even if you believe that the charge was justified, we will powerfully protect your rights. Contact our New York law firm online or call 212-766-3366 to schedule a free, informative consultation.